Whisky and Chocolate, a match made in heaven – these tours and tastings offer something a little different: a range of Classic Single Malts paired with specially selected luxury Highland chocolates. 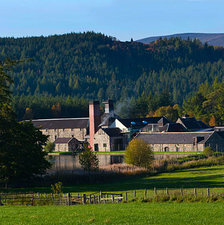 Dalwhinnie Distillery stands in the Cairngorms National Park at the heart of the Scottish Highlands in the village of Dalwhinnie and is one of the highest distilleries in the land. From this remote but accessible location comes the Dalwhinnie 15 year old single malt scotch whisky, known as ‘the gentle spirit’. 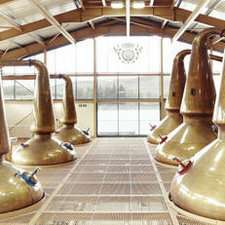 Tours include a taste of Single malt whisky paired with specially selected handmade chocolate. Learn about the history of the whisky and the glen, and discover the irrepressible spirit of The Glenlivet. See the exhibition; fill your own bottle of whisky straight from the cask, then cork, cap and label it; sample the delicious whisky cake in the Coffee Shop and treat someone – or yourself – to a present from the Gift Shop. If you want greater insight into the workings of the distillery, take the Spirit of the Malt Tour which includes seven tutored tastings and an exclusive visit to the traditional dunnage warehouse. Tomintoul Whisky is a testament to Master Distiller, Robert Fleming, whose family has been making whisky in the Speyside Glenlivet region for four generations. 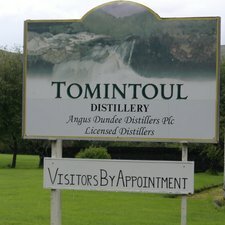 He began working in the whisky industry in 1974, and worked for a number of different distilleries until coming to Tomintoul Distillery, where he has been for over 20 years. Robert is responsible for all aspects of production and is very passionate about making exceptional Scotch Whisky. 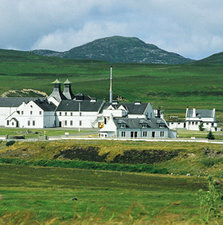 The distillery has no visitor centre, but visitors are welcome at certain times by prior arrangement. Next door to Balmoral Castle, Royal Lochnagar is the perfect place to discover how Scotch Whisky is made. Watch as the team of operators tend to the traditional mashtun, gleaming copper stills and fill casks at this traditional distillery, which retains much of its original charm. The tour ends with a dram of the award-winning Royal Lochnagar 12 Year Old Single Highland Malt. The distillery takes its name from the mountain Lochnagar and the Royal name was bestowed upon the distillery following a visit by Queen Victoria on the 12th September 1848, which was the first ever distillery tour. 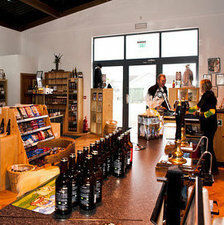 Situated in Aviemore, the Cairngorm Brewery Company is a multi award-winning craft brewery established in 2001. It works to keep traditional recipes alive, as well as brewing new and interesting styles, by using old and new malt and hop varieties, with new twists. The Brewery currently has a 20 barrel Brewhouse, capable of producing 6500 litres of the finest ale each day. The traditional Scottish recipes such as Black Gold, Wildcat and Stag are well established, giving consistent, quality products; alongside these they have added new contemporary brews. Tours and tasting available all year round.